As September approaches, we have lots of fun things filling our calendar- and our shelves!- starting with a First Friday celebration for a new show by artist Jake Lee. Also, if you’re not following us on Instagram, get in on that! One lucky customer just won herself a $10 gift certificate just for telling us her favorite wine. Score! 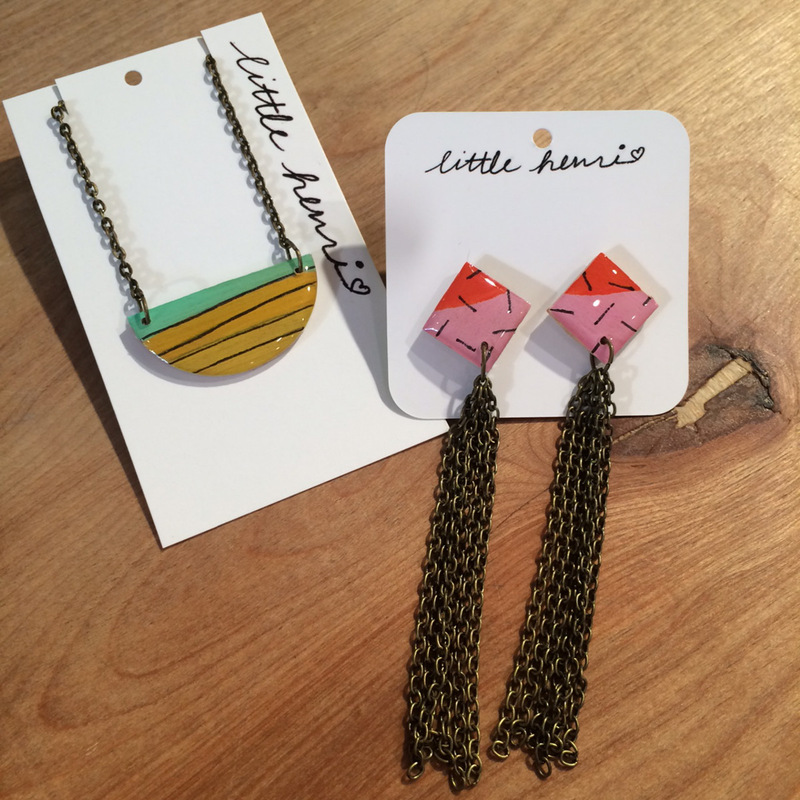 Little Henri: a brand new vendor with products as cute as their name! 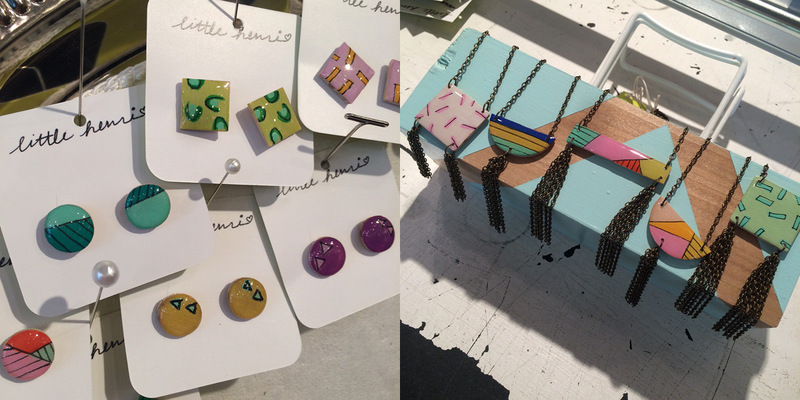 These earrings and necklaces take us straight back to the ’80s (in a good way). New vendor i.x. 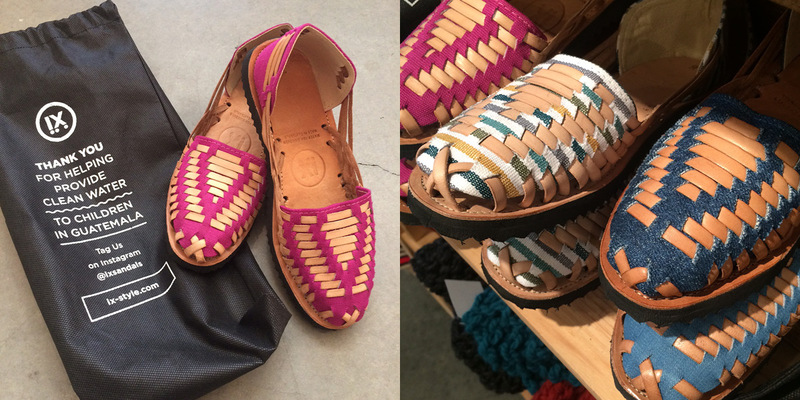 style brings us Huarache sandals hand woven by Guatemalan Mayan artisans. Not only are they super cute, but with each pair purchased clean drinking water is donated to children. It’s a win-win. 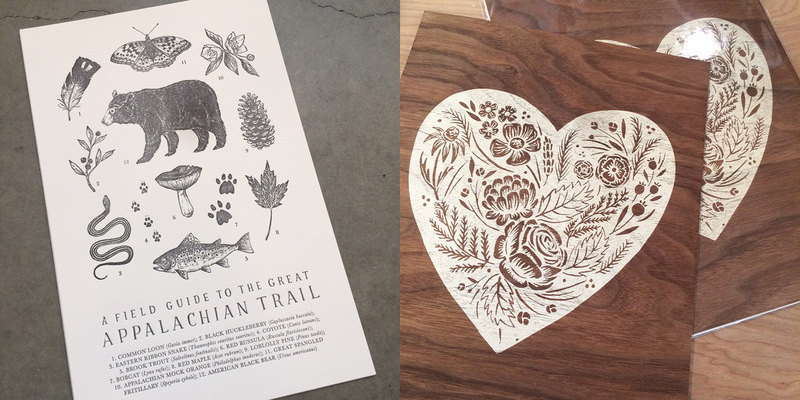 These prints from The Wild Wander are screen printed and letterpressed in Richmond, Virginia. Perfect for the outdoorsy/ really good taste in prints…sy types. 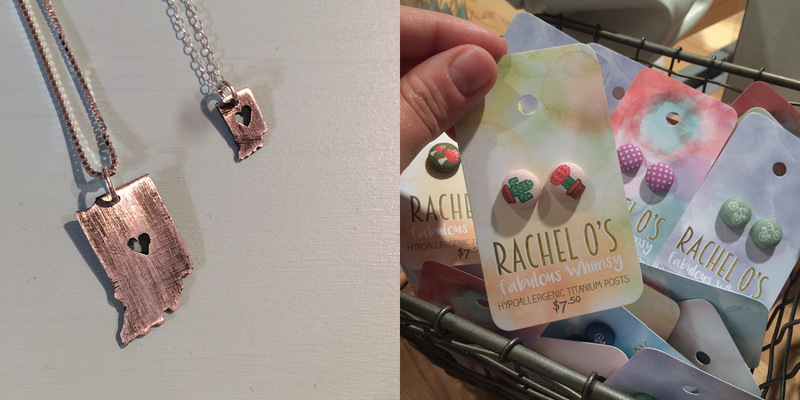 Restock on these perfect Indiana necklaces by Deesum Designs and these adorable earring by Rachel O’s. 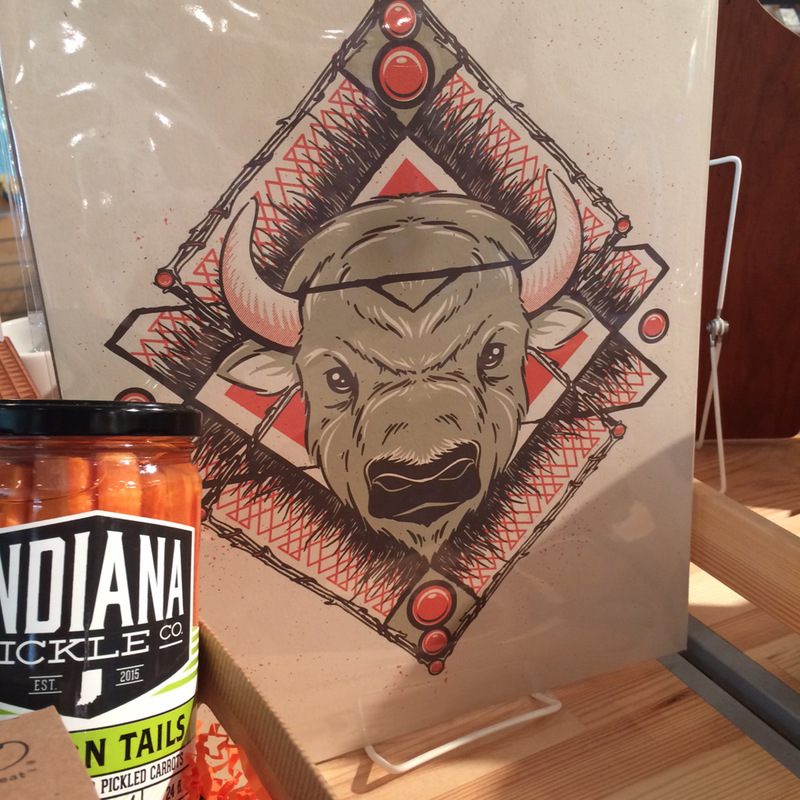 This buffalo from Half Hazard is mean muggin’ from behind some Indiana Pick Co. Dragon Tails and we’re not mad about it. SO. CUTE. 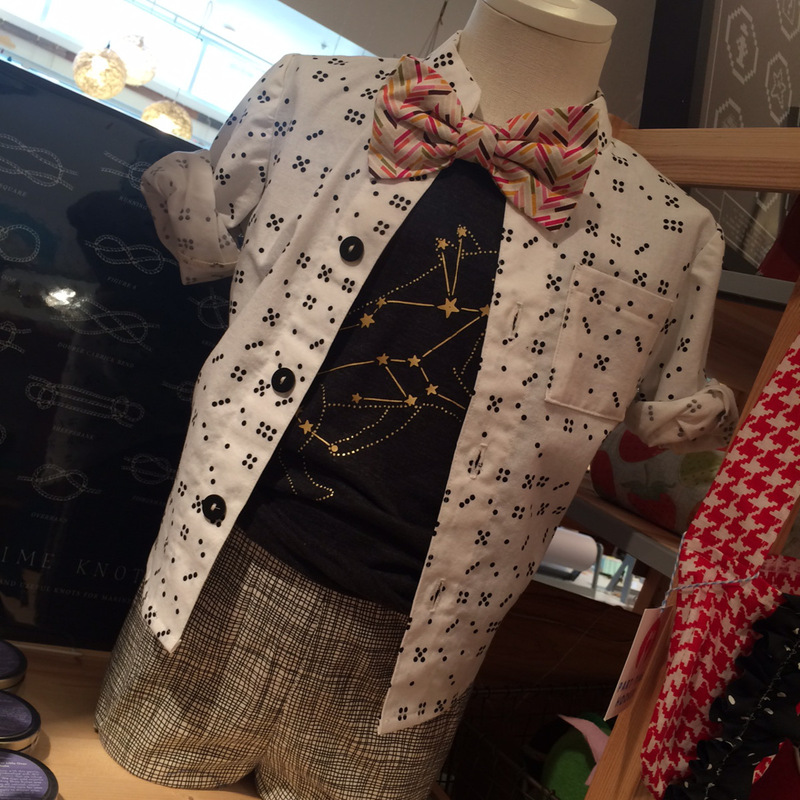 Sorry guys but this is for kids: shirt and pants by Lilla Barn, tee by A Little Lark, and bow tie by Dainty Daisies. To say Jake Lee is a man of many talents wouldn’t be an understatement or an overstatement, it would simply be accurate. Jake is a designer, curator, entrepreneur, and mixed media artist based in Indianapolis, Indiana. This series “Sucker Punch” explores the world of mass media and the imagery it chooses to display. Jake constructs his work by using type, imagery and iconic images. He enjoys the process of building layers from a variety of different mediums such as collaging, drawing, painting, image transfers and silk screening on wood blocks. Jake says he tries to convey a narrative story to the viewer that illustrates his feelings and his struggle with how media and advertising are used to shape society’s concepts of beauty, life, and passion. Jake also curates a gallery called The Attic in the Murphy Building in Fountain Square, Indianapolis. It is open to the public every First Friday during the IDADA Art Walks. 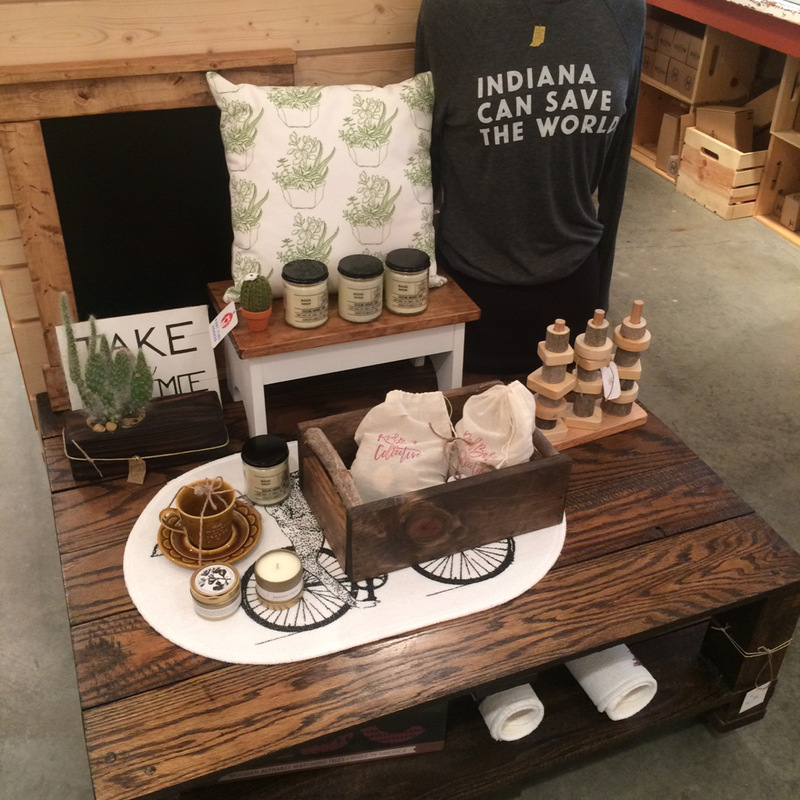 Jake also operates his own t-shirt venture called Made In The Square which harnesses the distinct attitude of Fountain Square, Indiana. His work will be showing at Homespun September – October 2016. 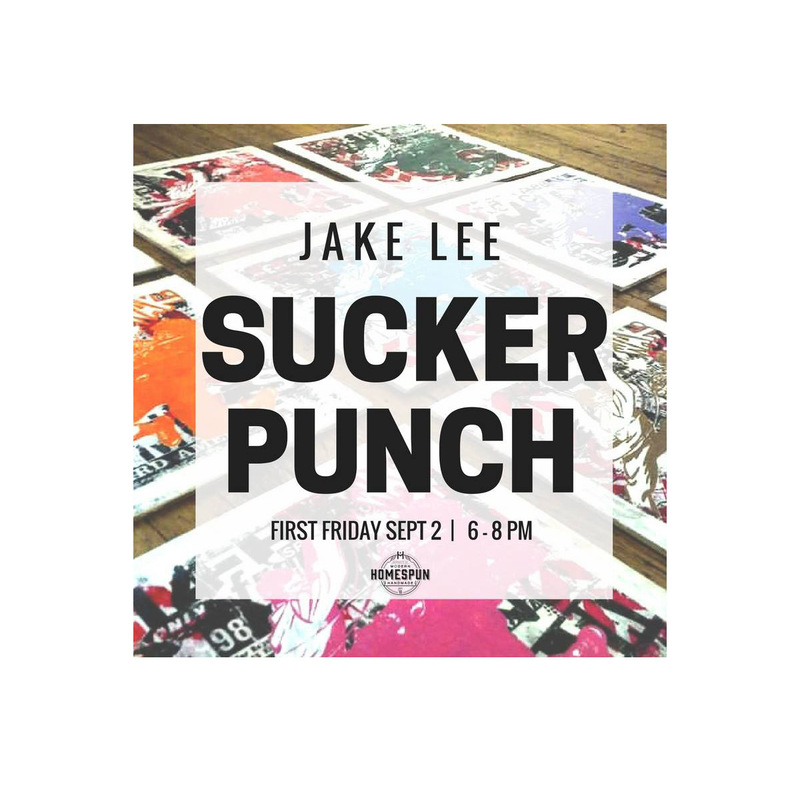 First Friday Exhibition, Jake Lee: Friday, September 2nd, 6-8pm: To say Jake Lee is a man of many talents wouldn’t be an understatement or an overstatement, it would simply be accurate. 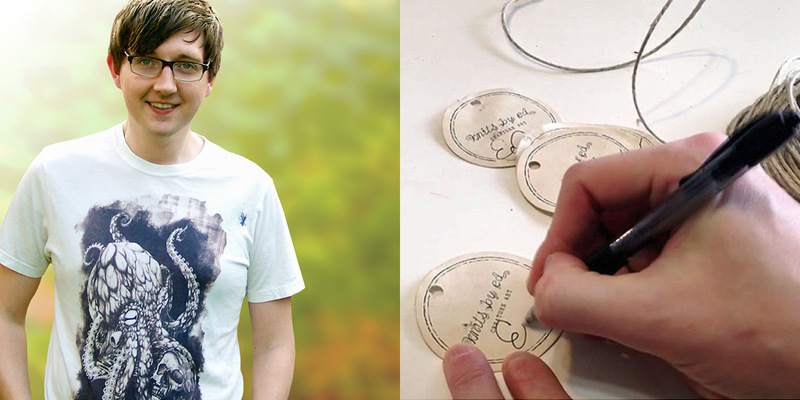 Jake is a designer, curator, entrepreneur, and mixed media artist based in Indianapolis, Indiana. This series “Sucker Punch” explores the world of mass media and the imagery it chooses to display. Jake constructs his work by using type, imagery and iconic images. He enjoys the process of building layers from a variety of different mediums such as collaging, drawing, painting, image transfers and silk screening on wood blocks. Jake says he tries to convey a narrative story to the viewer that illustrates his feelings and his struggle with how media and advertising are used to shape society’s concepts of beauty, life, and passion. Jake also curates a gallery called The Attic in the Murphy Building in Fountain Square, Indianapolis. It is open to the public every First Friday during the IDADA Art Walks. 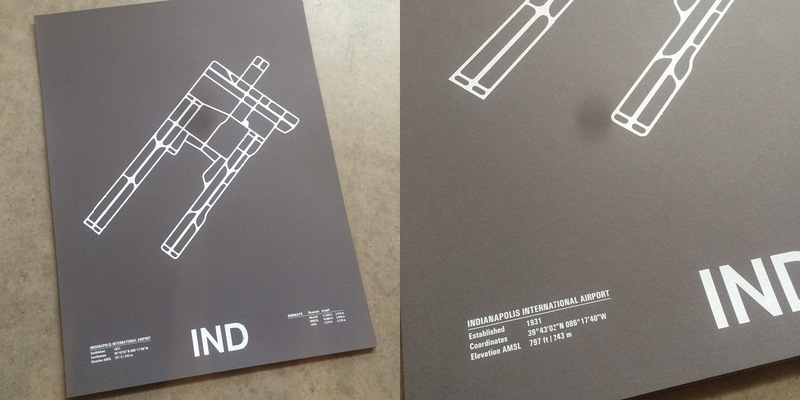 Jake also operates his own t-shirt venture called Made In The Square which harnesses the distinct attitude of Fountain Square, Indiana. His work will be showing at Homespun September – October 2016. 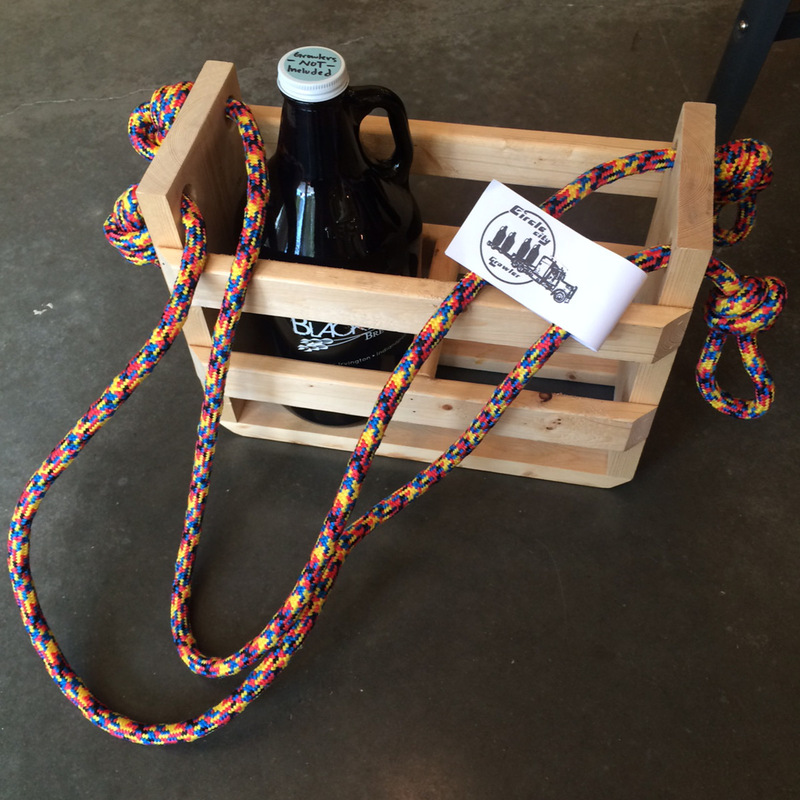 Workshop: Macrame Hanging Planter: Saturday, September 17th, 12-2pm: Have some flowing greenery that needs hanging for full-effect? Always wanted to learn how to macrame? Then we’ve got the perfect class for you! Savannah Norris, local stylist, artist, and jane of all trades, will help you craft a hanging planter perfect for your growing green babies and your personal style! Bring yourself and your plant (in a small – medium pot or jar) and a sturdy stick (optional) if you’d like to make it a contemporary wall hanging – all other supplies will be provided. Additional fee if you’d like the intstructor to provide the plant and pot for you! Workshop: Flower Crown: Sunday, September 18th, 1-3pm: Evoke your inner ethereal goddess or god by creating a one-of-a-kind flower crown with local earth-mama and crystal-spirit-queen, Rana Salame. All flower crown supplies will be provided by the instructor – however, you’re welcome to B.Y.O.B. 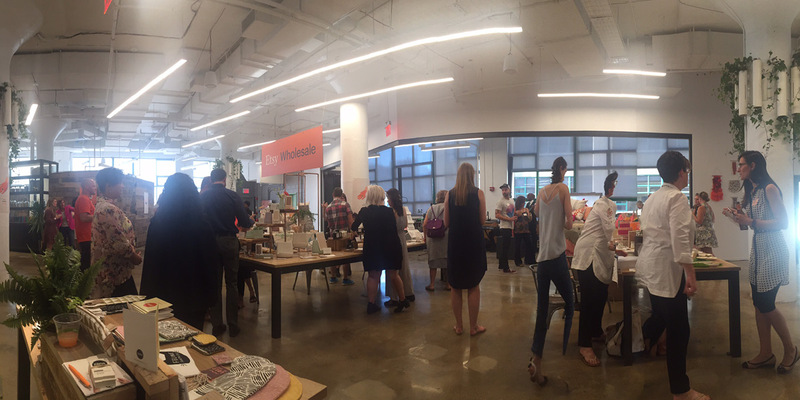 Sip and get spirited while you get your craft on! 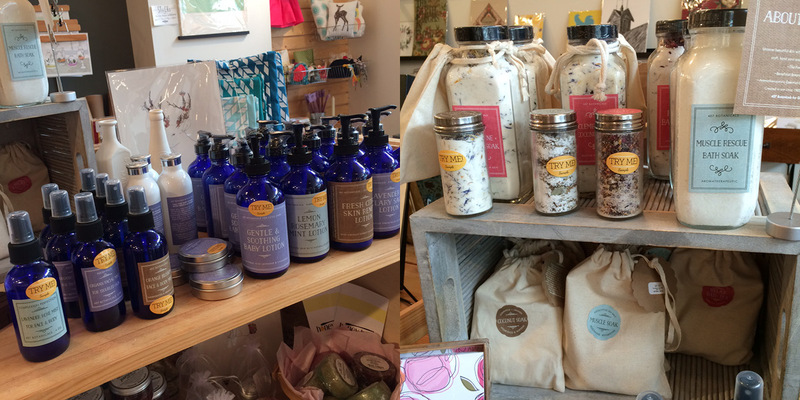 Candle Maker Pop-Up Bar w/ The Onyx Exchange: Saturday, September 24th, 11am-4pm: Join the Onyx Exchange for a day of candle making at Homespun! Mark you calendars and stop in to make your very own 7oz. Lux candle or 11oz. Wine Bottle Candle! Have fun mixing your own scents to create something totally you! No registration required for this Homespun event. Candles take about 2 hours to cure. Feel free to hang around the Ave and shop, or you can leave and come back later to pick up your candle. Homespun will hold them for you. Eric Coppinger is the Ed behind Knits by Ed. Based in Bloomington, IN, Eric combines his passion for animals with his drive to create. 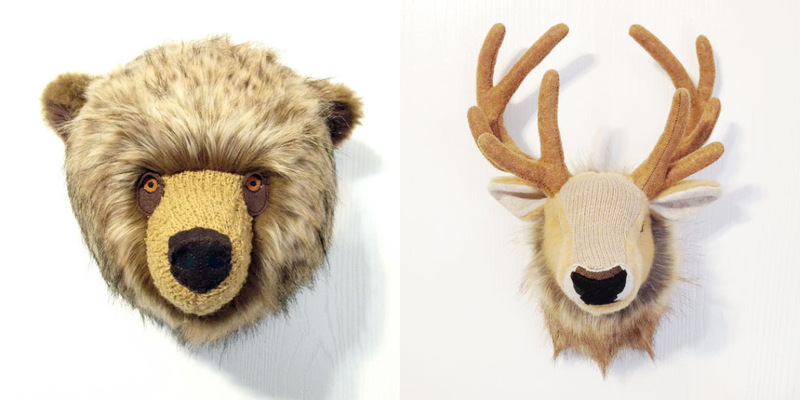 Using eco friendly materials and detailed accuracy, his plush animals reflect nature’s beauty. 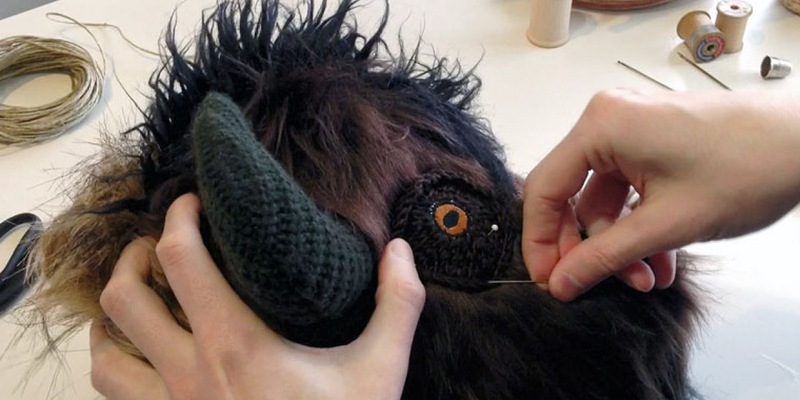 To learn about him, his process, and his animals is to understand the inherent value in buying handmade. 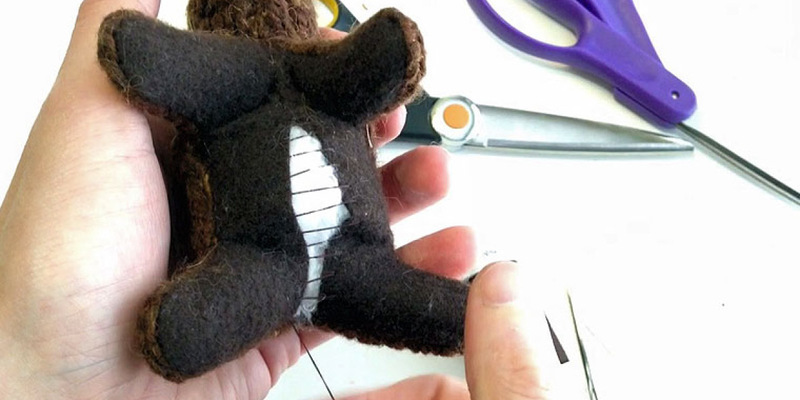 I usually don’t… I live in a small town and most people look at me a little strange when I start spouting off that I make recycled soft… “You make what?” So I just tell people I make stuffed animals. I still get odd looks but at least they know what I’m basically talking about. If I am talking to my peers I say I make recycled knitted creature art. 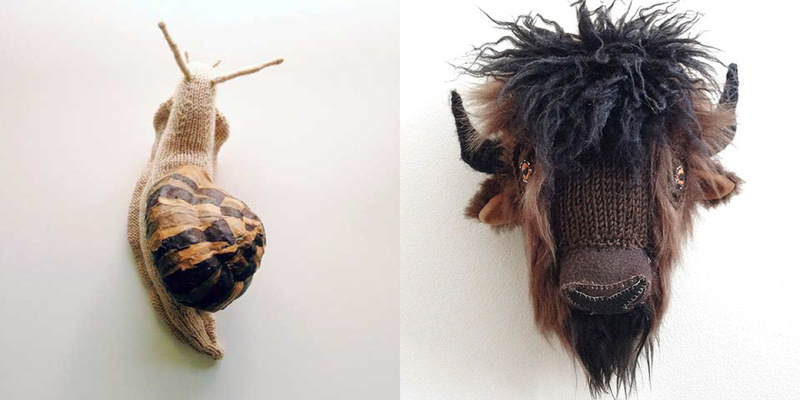 I add that my soft sculptures are either knitted from recycled sweaters and blankets or sustainable yarns. A lot of times I sew knitted fabric with other fabrics like felt made out of recycled bottles. 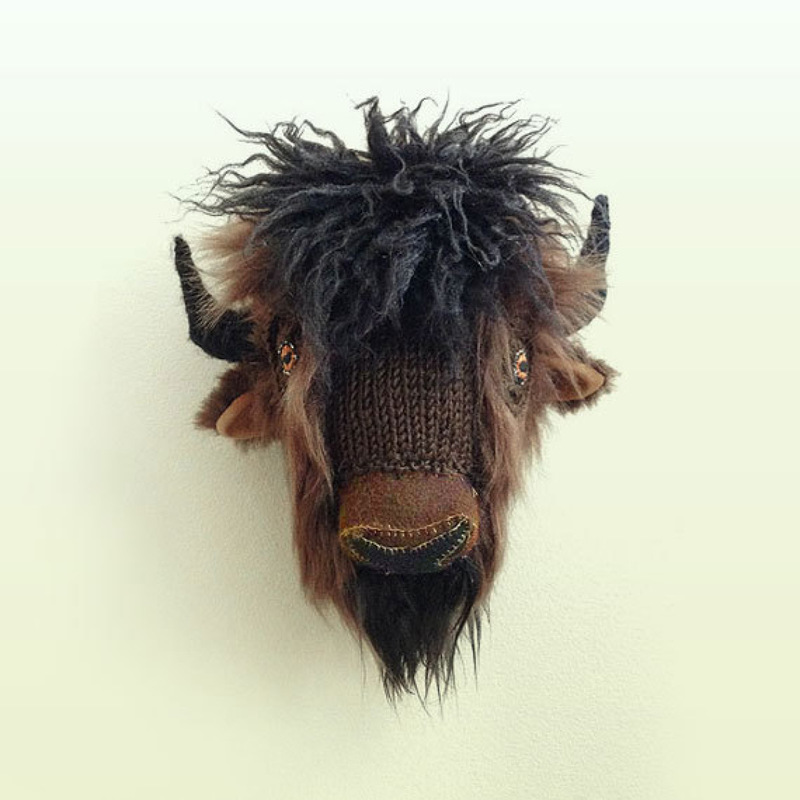 Sometimes I’ll mention I make faux taxidermy wall art. I’m still trying to figure out how to describe my work. My art is constantly evolving and it’s hard to describe it in a short and simple way. 2| Why do you make things? I create things because it makes me happy. I love animals and I enjoy creating things that bring awareness about conservation. It helps to make me feel like I have purpose. 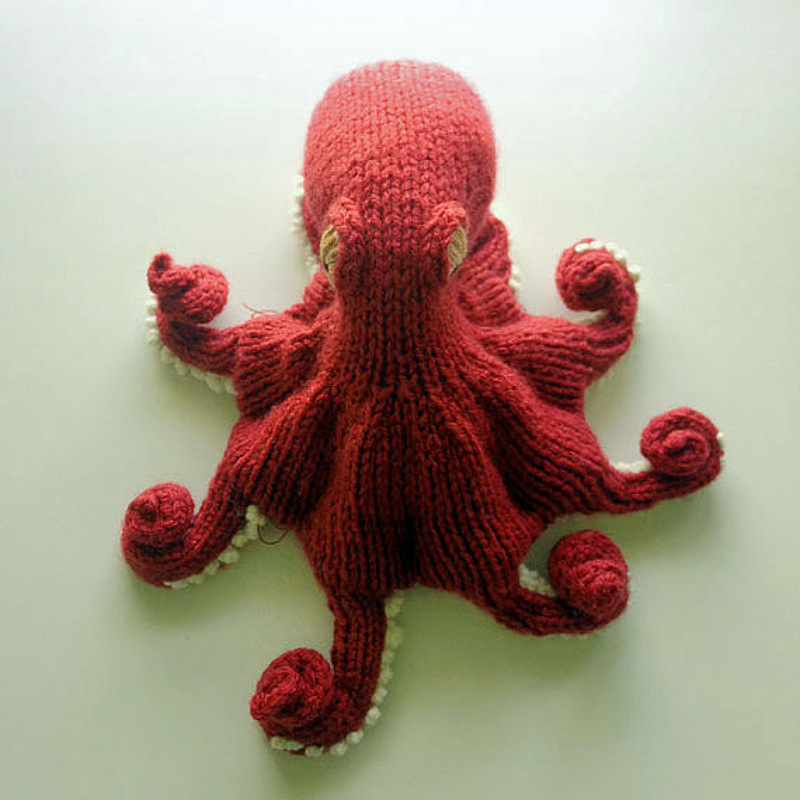 Every time someone picks up a Knits by Ed item I hope they fall in love with that animal and want to save it. I hope that our children and our children’s children will be able to see animals in the wild in their natural habitats. It is my dream that each of us doing our part will add up to make a big difference for our planet and the creatures in it. That’s why I donate a percentage of sales to organizations that help save endangered wildlife and protect at-risk habitats across the globe. 3| Who taught you to knit? A friend got me started but I’m mostly self taught. I’ve watched a lot of YouTube tutorials. 4| What do you love about your job? I love waking up every morning excited about creating something new. I love researching new creatures to make. I love sourcing the materials I work with, coming up with color schemes and combining materials to come up with something totally new. Sometimes I unravel an old scarf and pair the yarn with a strand of a different color and knit with that. The whole process of creating from beginning to end makes me really happy. No, not really. I have always created. I grew up with crayons and a sketch pad and always wanted to be an artist, oh, and a zoo keeper. But neither of those things happened. I left university with a degree in web design. After leaving my last design job I decided I was over the commute and cubical. I had been knitting and selling my things on the side and thought it was a good time to switch it over to a full time gig. I work from home. I try to keep a normal workday schedule but typically work way over 40 hours a week. I wake up, get my coffee and head to the studio. What makes a handmade object valuable is all of the time an individual puts into it. A maker puts their heart and soul into their creations. The objects are an extension of the maker. Every time you buy a handmade object you are buying a piece of that artist. It’s hard to pick just one thing. I have several handmade objects I’ve collected over the years and I love them all. But If I had to choose, the object with the most sentimental value would be an old tapestry needle that my mom gave me. I remember seeing her use use when I was a kid and I use it almost every day. I’ve tried using different needles but they never seem to feel the same. 9| Tell us one true thing about yourself that people don’t believe when you tell them. Probably my age or that I have tattoos. It’s great to look a lot younger than you are until you try to order a cocktail and get the third degree. My tattoos are hidden and when I tell people I have a huge octopus tattoo on my leg they just cant believe it. Maybe they think I can’t take the pain. 10| Give us three more non-crafting-related details about you or your life. We have two crazy pugs, Maggie and Bella. We took Maggie to Mutt Strut when she was only 3 months old and she walked around the entire Indianapolis Motor Speedway. 11| What is your favorite animal? My favorite animal is the octopus. 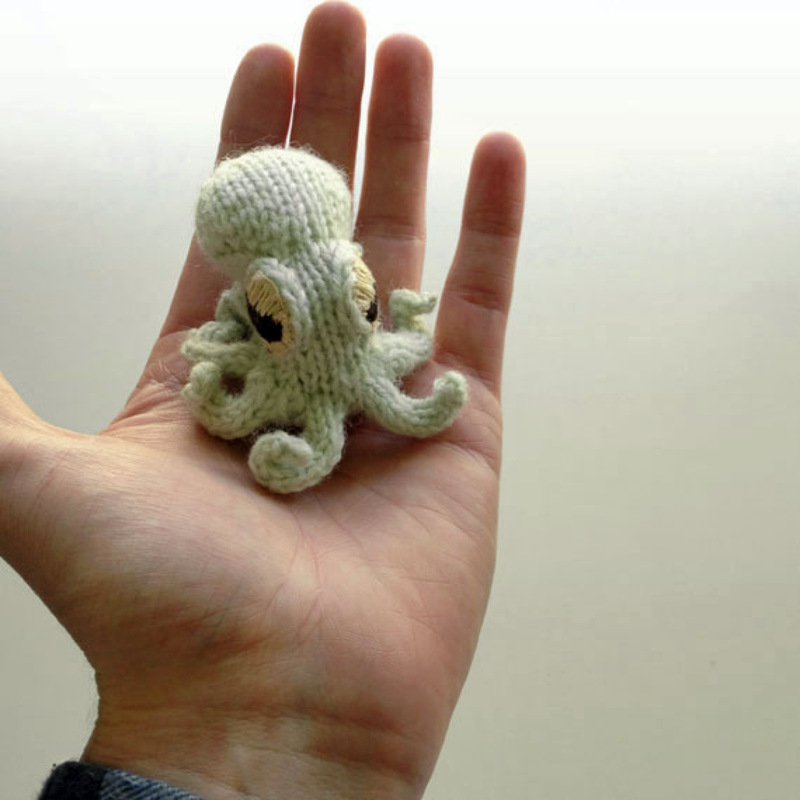 It was the first creature I knitted and I have a tattoo of one on my left leg. 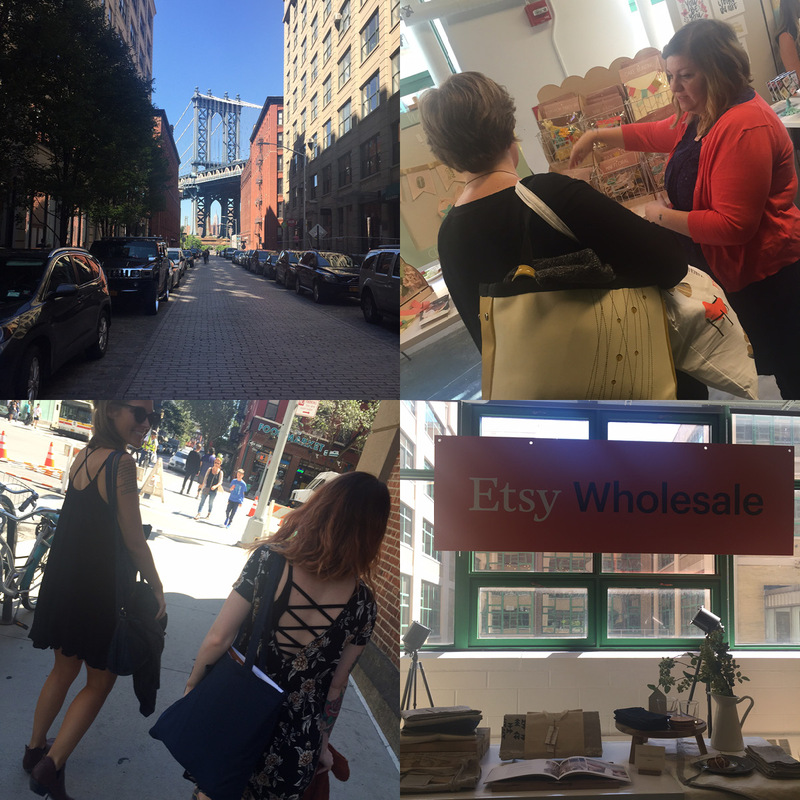 Part of our crew is in The Big Apple this week searching out new, beautiful, hand-crafted items for our shelves and we are so excited about the sneak peaks we’ve been getting on Instagram! 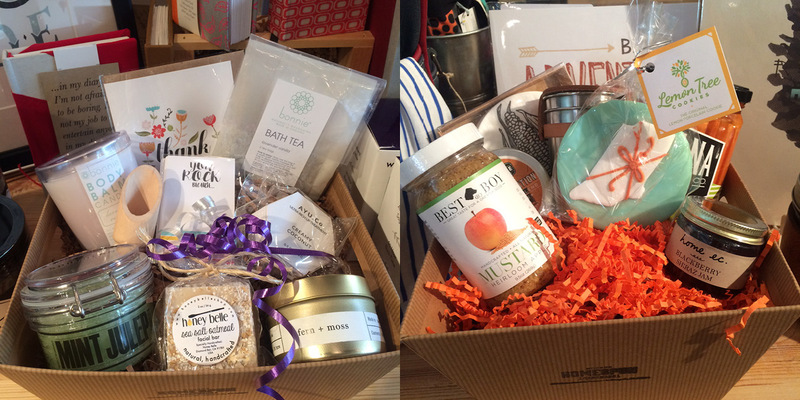 We still have new things being added to our shelves each week, read on to check them out and see what’s happenin’ This Week at the Shop. New vendor: Skinny & Co. Based in Indianapolis, Skinny & Co. is the only 100% raw coconut oil in the world. From oil pulling to moisturizing to mouth wash, we have a full range of products. Come try some! Restock from Circle City Growler! Beautifully paired prints from Laura George and No. 18 Paper Co. Also, this adorable chalk board from Red Barn Collective looks so cute next to a box of gorgeous dolls by Riley Construction Toys. 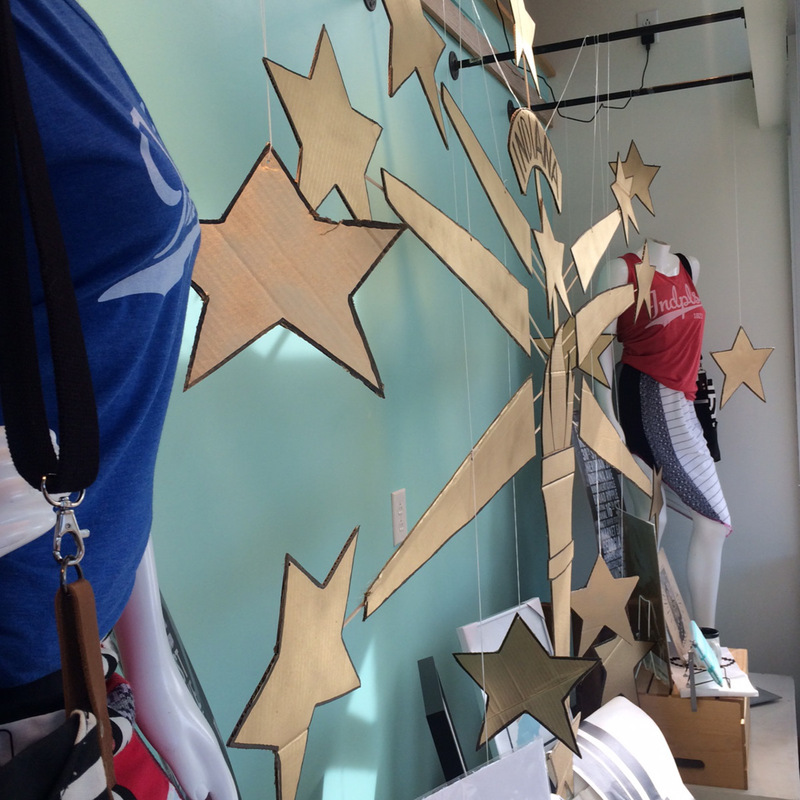 We also have a sweet new window display. It’s so hard to photograph, come check it out in person! So proud of our talented team. 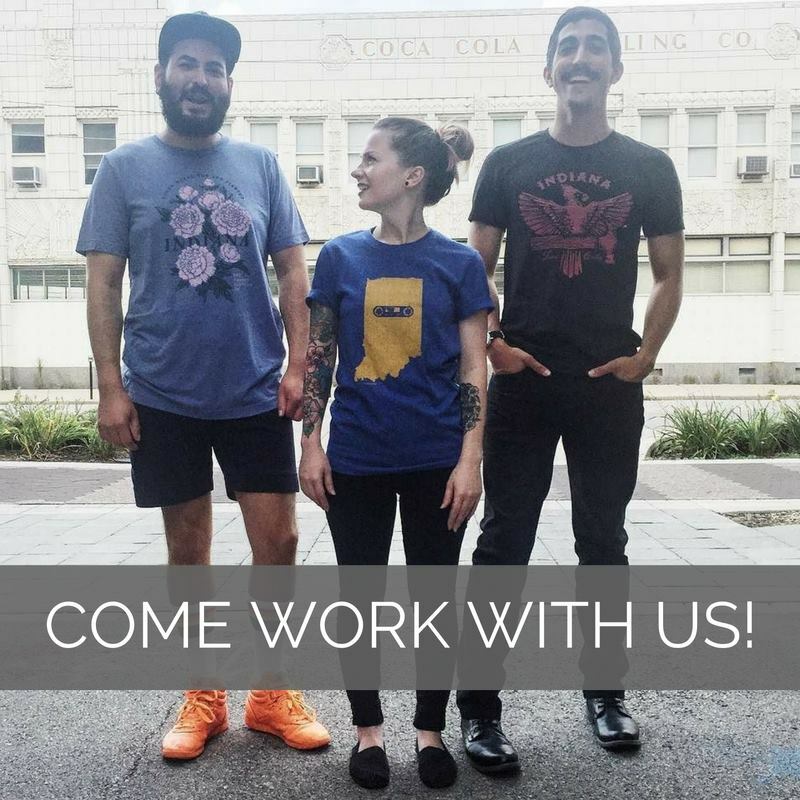 Come work with a great team, supportive management, and promote local and ethically sourced goods! 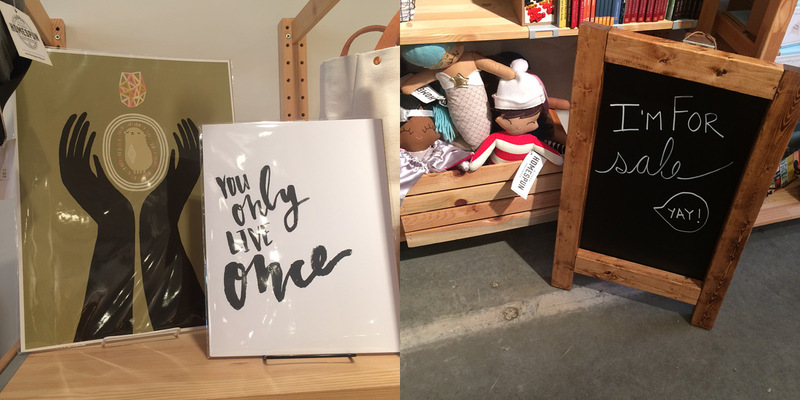 We also have a lot of fun with displays, merchandising, events, and more! We are seeking part-time Sales Associates and an evening Shift Manager. Stop in to fill out an application and drop off your resume! 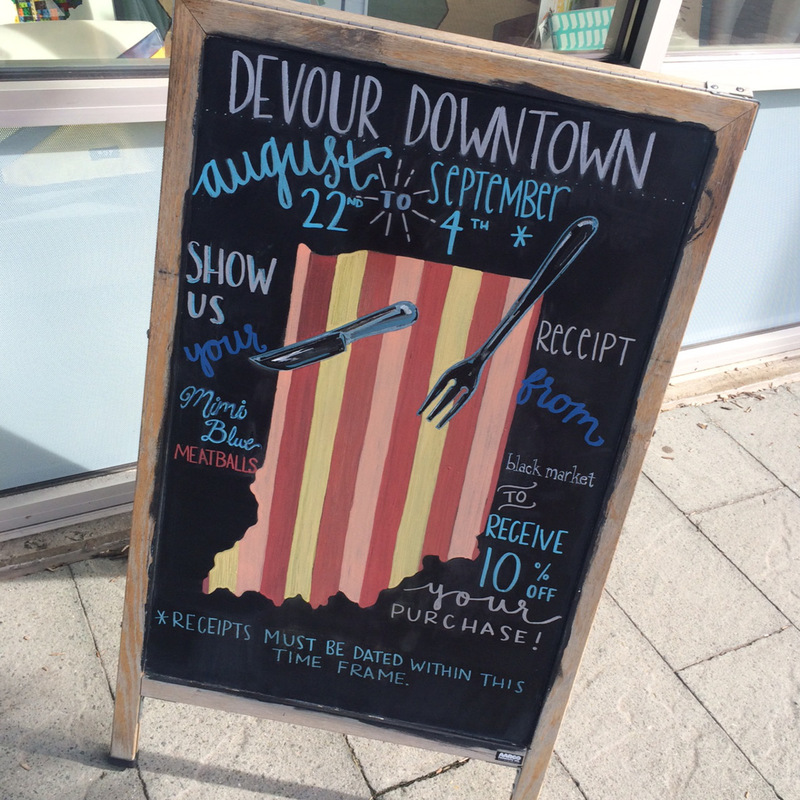 Devour Downtown is happening now! Bring a receipt from Mimi Blue Meatballs or Black Market to receive 10% off your purchase! 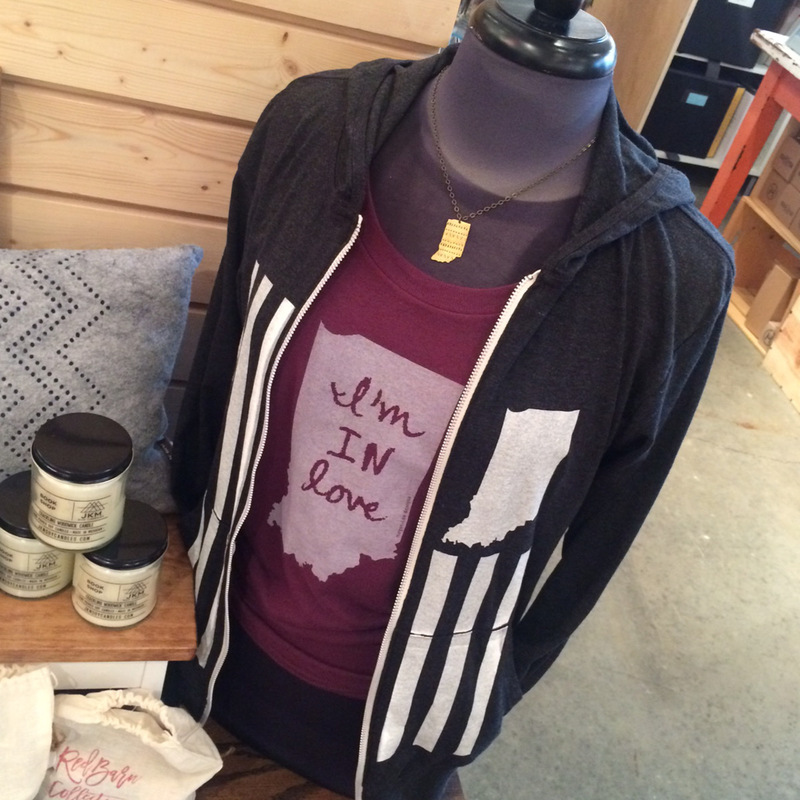 Above: feeling comfortable and very Hoosier in this tee by Megan Lee Designs and zip-up hoodie by United State of Indiana. 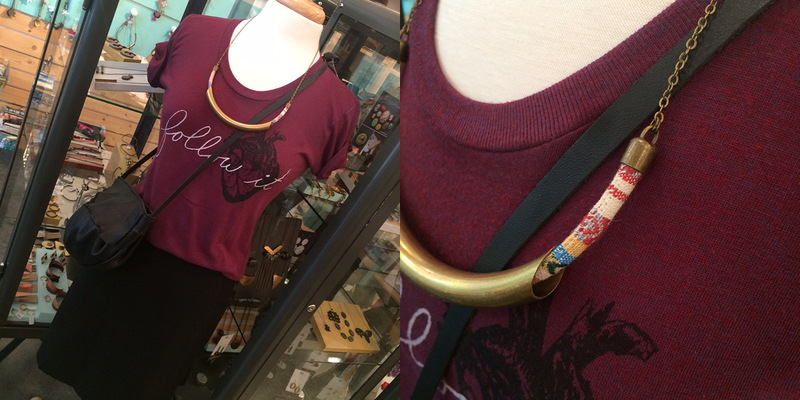 Below: a perfect little ensemble comprised of a tee, also by Megan Lee, bag by ReFind Originals, necklace by Grey Theory Mill and a simple black skirt. One of my favorite rainy day pick-me-ups is burning a candle: it takes the gray day, changes your mood, and turns it into something special. We’ve been fully restocked by JKM Soy Candles with lots of scents to choose from- there’ll be just the right one for you. 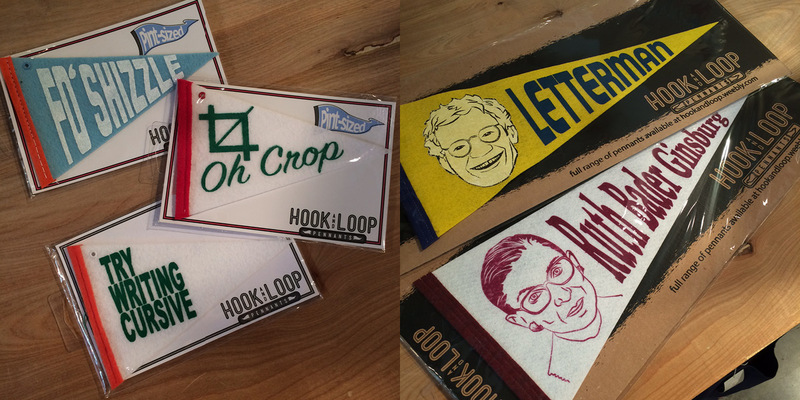 See what other cheery items we have new to the shelves, this week at the shop! 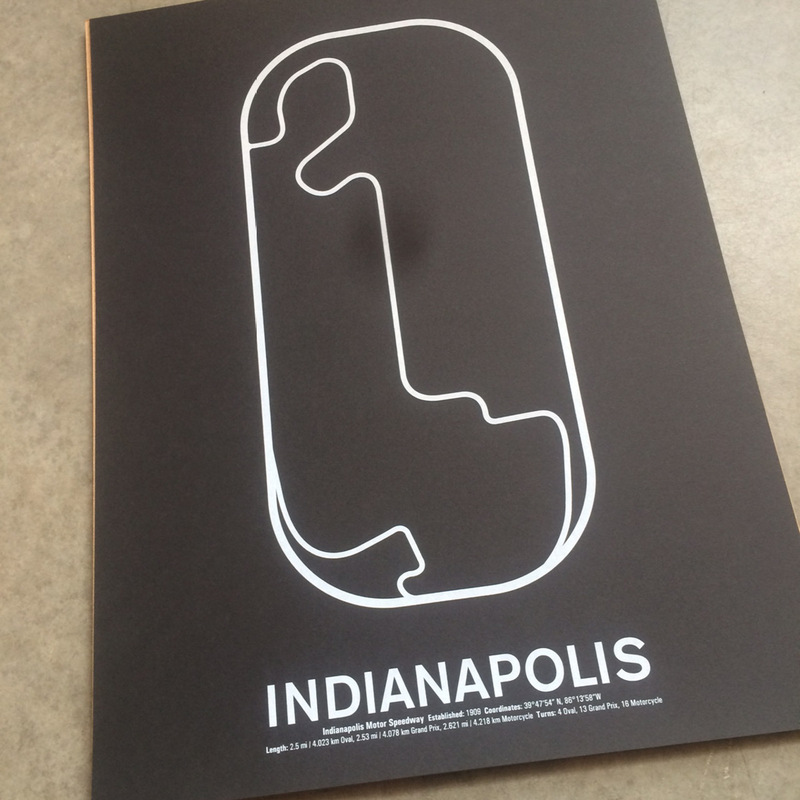 New Indianapolis prints by NOMO. 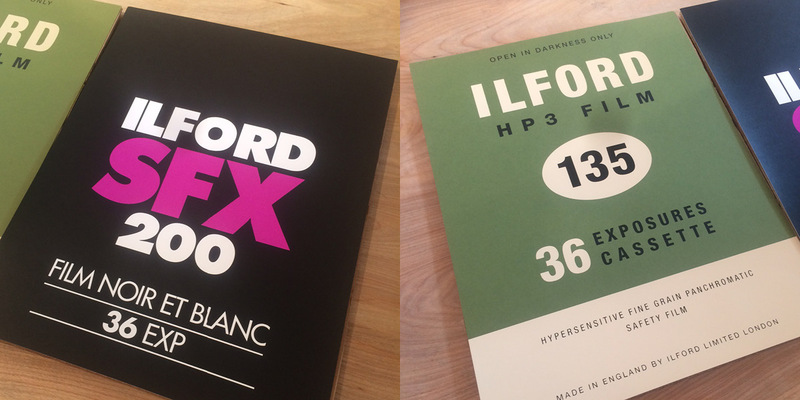 Film prints, new from NOMO. 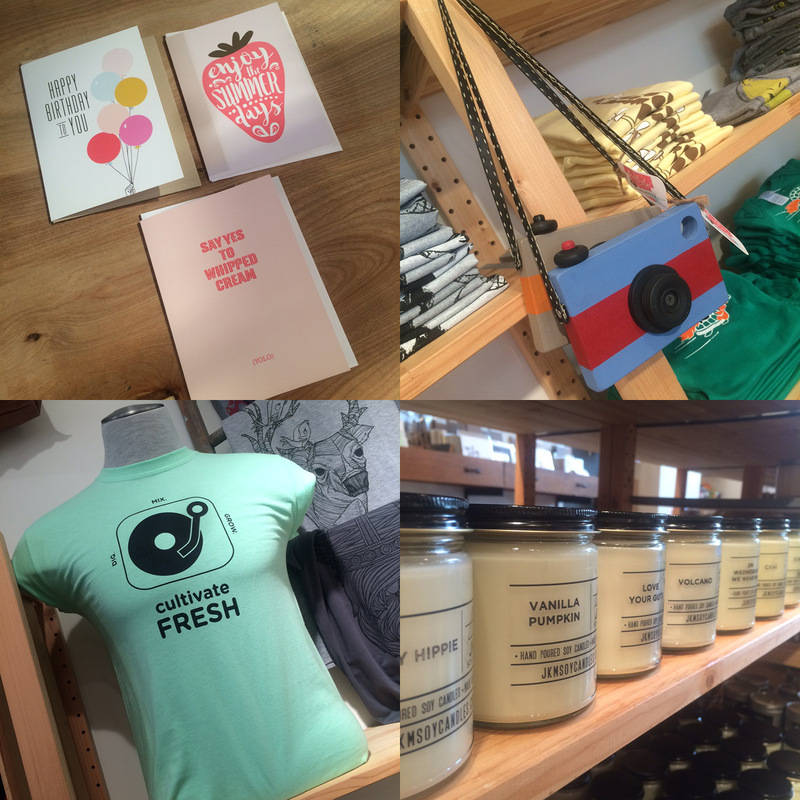 Lovely new cards from Haven Paperie, the cutest little kiddie cameras by Red Barn Collective, all the candles from JKM Soy (looking so smart on the shelves), and cultivate fresh tee by Fresh Camp. 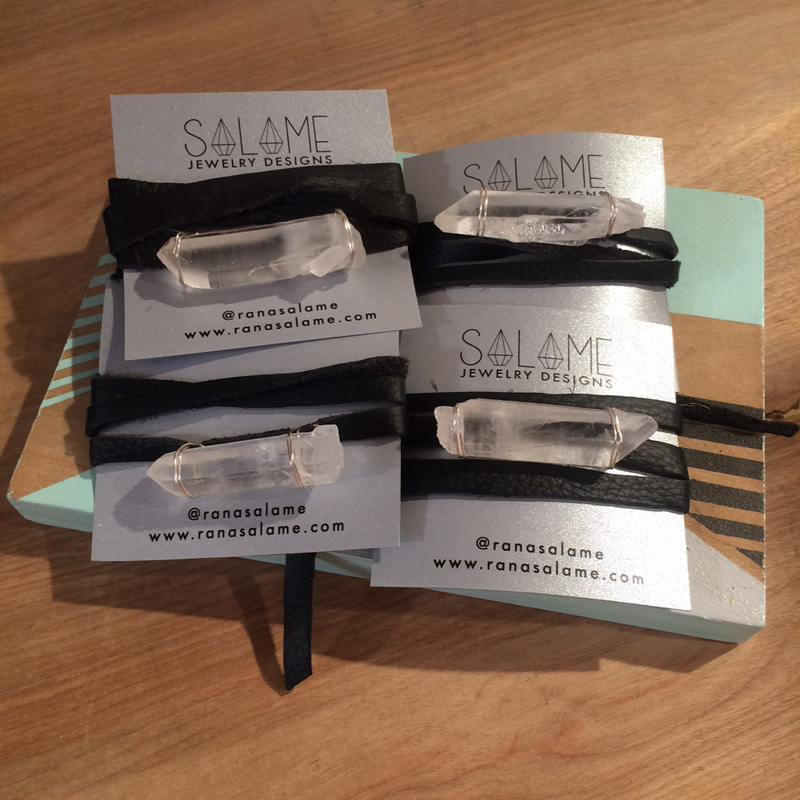 New crystal chokers by Salame Jewelry designs: these could also be garter belts or would look beautiful adorning any gift or arrangement. Displayed on one of our new art blocks, you can learn how to make them on our How-To blog. I just love this cozy little corner of the shop. Warm wood, plants, and sweet smelling candles. 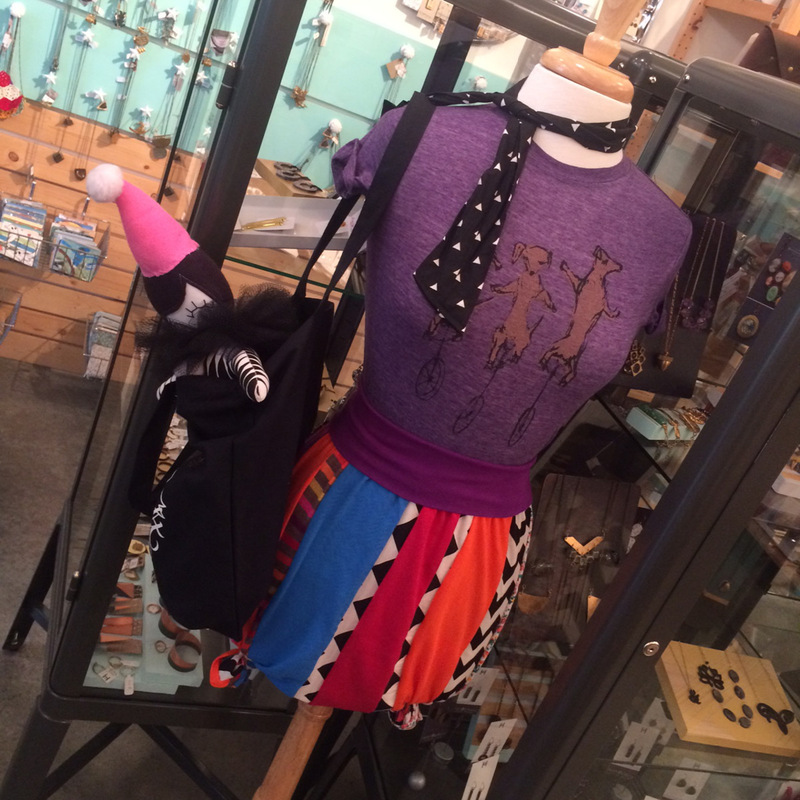 We’re all dolled up in this adorable outfit comprised of tee by Megan Lee Designs, skirt by Nicole’s threads, neck scarf by Dainty Daisies, Indieana Handicraft Exchange tote and Circus Suzette riding along by Riley Construction Toys. Kids Rock the Park 2016: Sunday, August 21st, 10am-3pm: Homespun is sponsoring and vending at this amazing fundraiser. It’s Girls Rock! Indy’s annual Kids Rock The Park at Broad Ripple Park, the fun fundraiser for their camps and year-round programming. Cover is $5 per person, with ages 6 and under free. Featuring live music for the whole family as well as face painters, bounce houses, food trucks, a dunk tank, photo booths, a musical “petting zoo,” a carnival midway, and many more games, crafts and fun stuff. Workshop: Succulent Terrarium: Saturday, August 13th, 1-2:30pm: Low-maintenance, lovely, and easy to assemble: succulent terrariums are the perfect spring project to bring some green back into your world. Join Rana Salame in our shop as she shares her expertise in basic succulent cutting, rooting, and plant care. This class is great for beginners and open to children, too – one child and one caregiver together may purchase a ticket. Please note: one ticket is worth one terrarium – if you would like to made additional terrariums, please be sure to purchase additional tickets. Some lovely, some funny, some practical, some yummy. 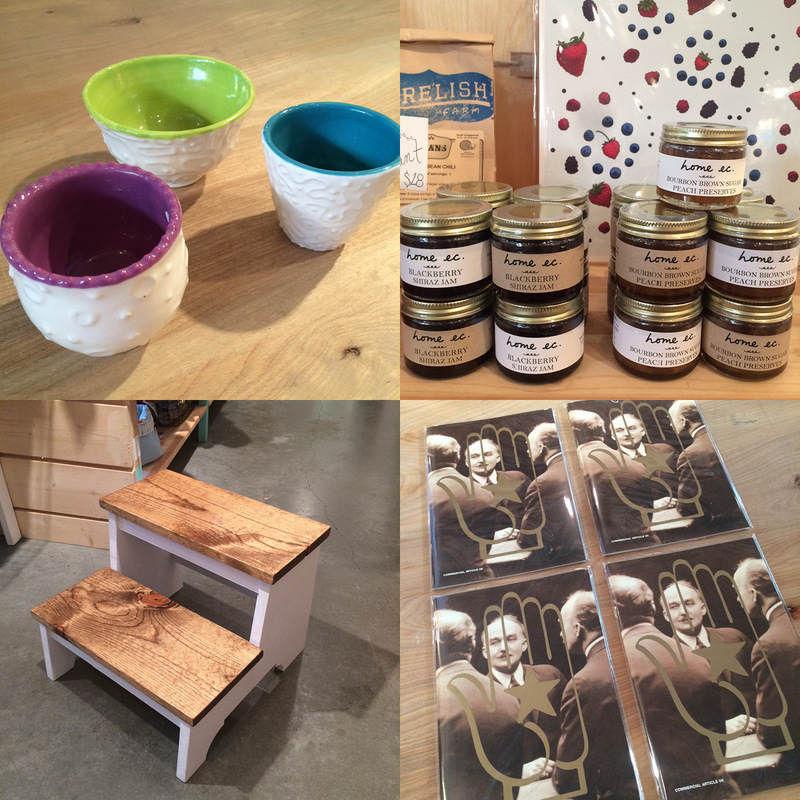 Great new items and events coming up this week at the shop. 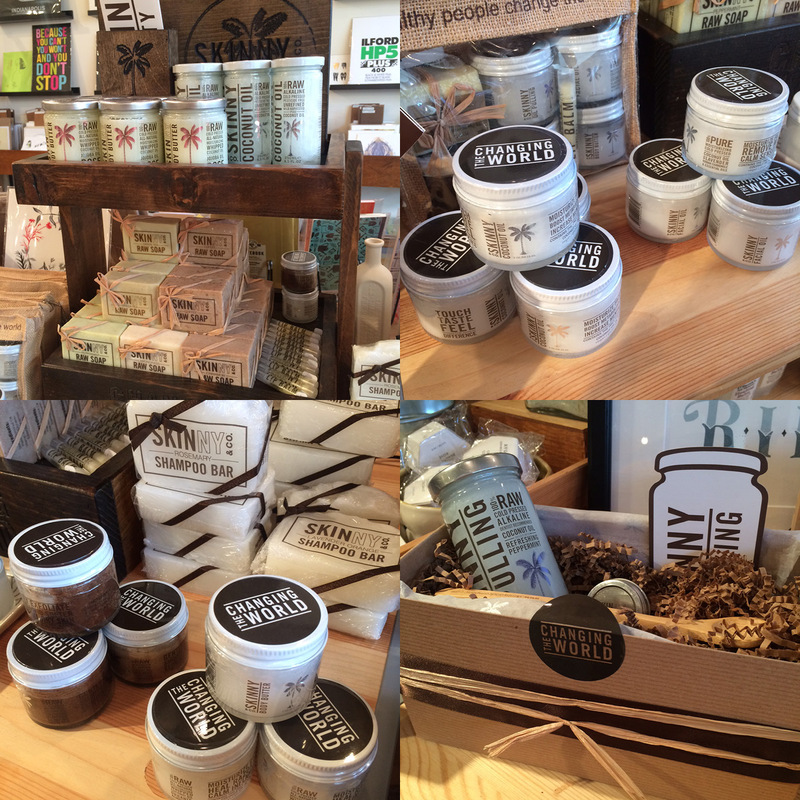 Restock from 407 Botanicals, trust me, you won’t be disappointed with that muscle soak. New vendor Bad Touch Pottery brings us these bright and lovely vessels, delicious local preserves from Home Ec., a brand new issue of Commercial Article is on the shelves, and I love these beautiful wooden step stools from new vendor Red Barn Collective. 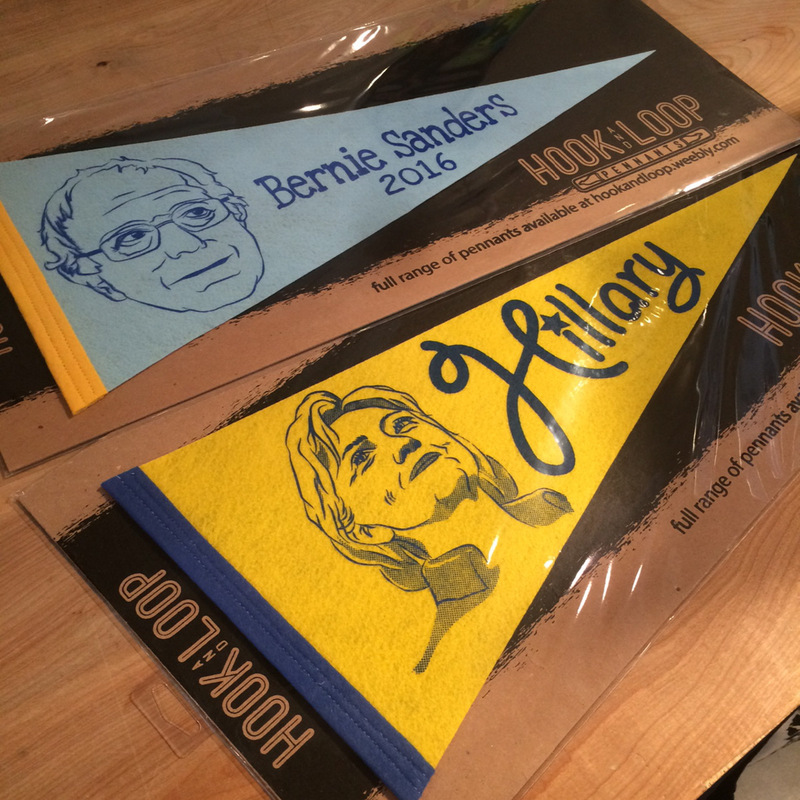 Amazing new pennants from Hook and Loop. 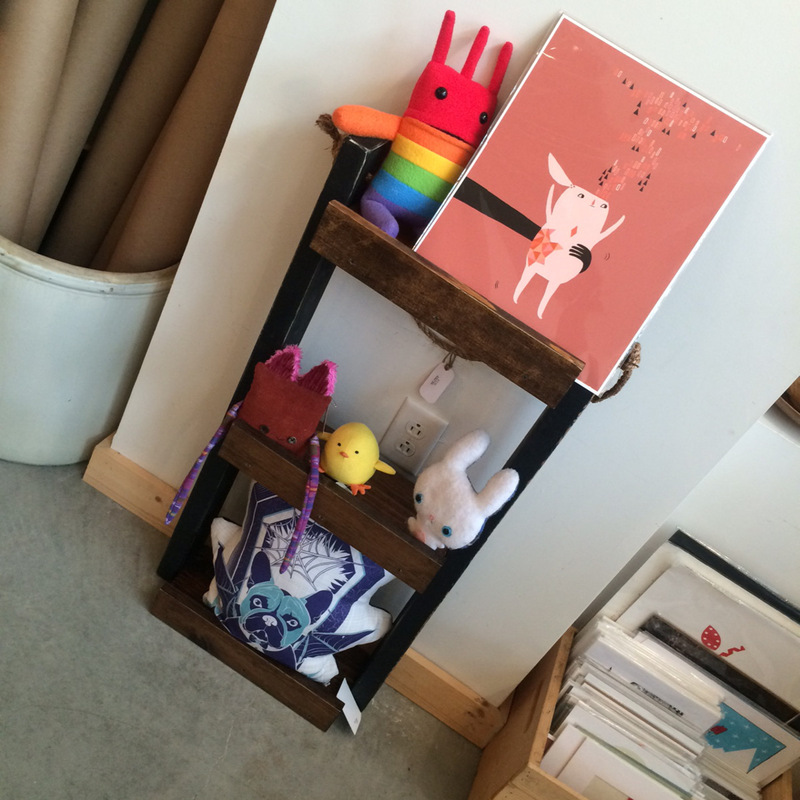 Cute display of our plushies and print by Laura George on new shelving by Red Barn Collective. 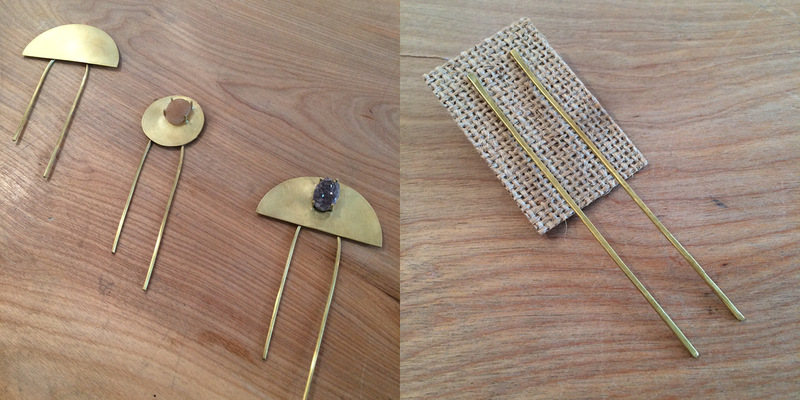 I want all of these in my hair, all of the time: new brass hair forks from kFroet and new earrings, too. We’re so good at these! If I do say so myself. 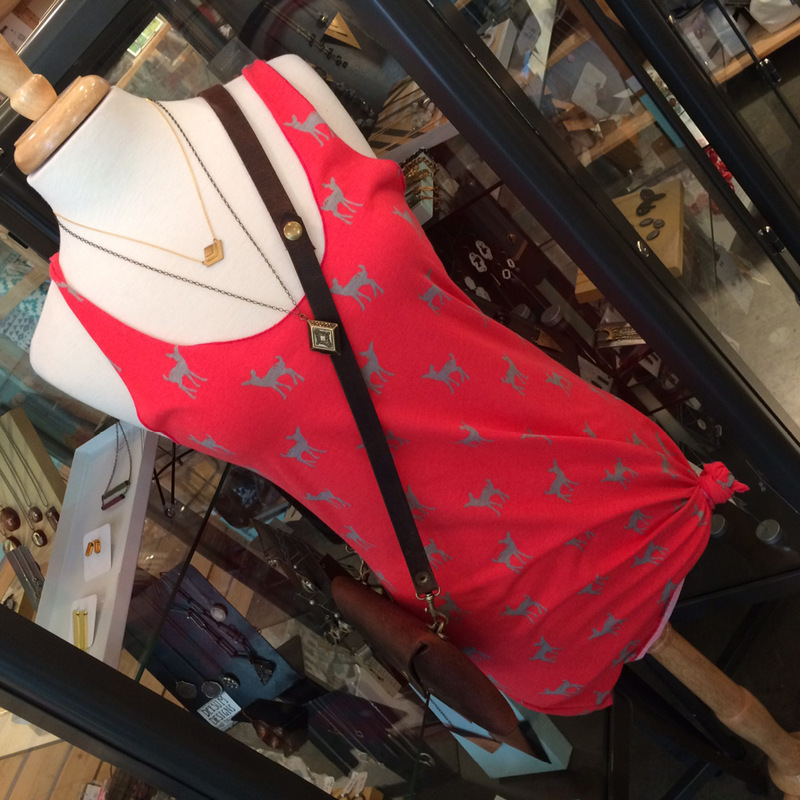 Simple and too adorable: dress by Nicole’s Threads, necklaces by Astronette and Paperish Mess Made, purse by LM Products.